Please fill out this form to find out more about and to express your potential interest in coworking at 10 Carden. The new building, which will be complete in Fall 2017, offers a variety of coworking options from shared space to dedicated areas. Please let us know what interests you. Not sure. Let's talk to help decide. If you are with a NFP are a B-Corp and/or your work is helping to build community, you may be eligible to be a member at 10C. If you are running a business, a Venture member may be right for you. A limited # of Venture and non-member space is currently available. Let us know if you'd like to be a member of 10C, and fill out the membership application at 10carden.ca/membership-form. This allows us to have a better sense of space usage and desk availability. Are you interested in gardening but have limited outdoor space? Do you want an easy to care for set up? 10C Shared Space is offering a series of interactive sessions with support from the City of Guelph’s Healthy Landscapes Program. 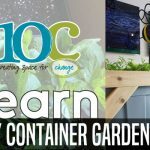 Attend one of these workshops to get inspired and to learn how to build and maintain a variety of container gardens. This event is FREE sign up here. 10C members span the spectrum of the social change sector, from not-for-profits, to independent researchers, to entrepreneurs. Become a member of 10 Carden and join forces with the strong and interconnected community of changemakers in Guelph. Learn more about becoming a member. Coworking is an innovative way to share work space. Co-working can enable you to reduce costs, while working in a multi-sectoral, collaborative and dynamic environment. Bright & beautiful part-time and full-time coworking spaces are available. Start co-working in our new space today from as little as $100/month.